Jewish thought is complex. It’s not complicated; it’s just complex, and multiple opinions are the norm. The tradition of holding in mind two or more opinions is rooted in Talmud. The dialectical method, by definition, pushed boundaries and invited inquiry until one opinion held sway over other alternatives. Even then, time and circumstances invited more commentary and sometimes a former conclusion was revised. If it reminds you of the precedent of Case Law, it should, because it’s virtually the same. The result is that it uniquely prepared the Jewish world to encounter and address the world throughout history. Today, we can encounter and address the world better prepared than most others, but only if we embrace the dialectical method for similar reasons that the Talmudists did. Their goal was to preserve Torah teachings and its inherent and subsequent lessons. Our goal is to preserve the Constitution and subsequent Case Law. As Reform Jews, our aim is to engage in that process, which is inextricably tied to evolutionary changes in culture and religion. Inevitably, they present us with objectionable challenges we feel compelled to protest, or reasonable outcomes we feel prepared to accept, or both. Now, a new White House administration is moving swiftly to make changes. Our reactions are on display on social-media and they’re impressive. But, bear in mind our Jewish heritage. It’s one of mindful consideration of possibly more than one opinion all rooted in sacred texts and teachings. From such sources our most enduring Jewish understandings have served us in the worst of times and the best of times. Though many consider these to be among the worst of times, they only magnify our obligation to rely on Jewish teachings for the text and commentary with which to encounter them. For or against, our opinions gain heft and our actions gain authenticity when they’re rooted in enduring Jewish understandings. 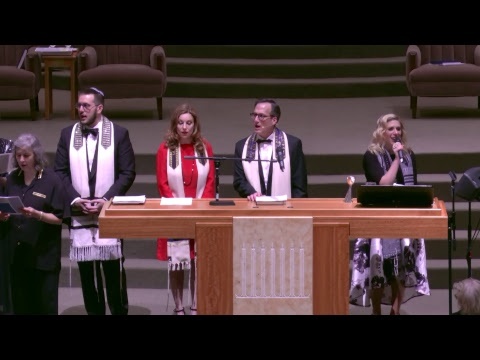 Over the last 163 years, Congregation Beth Israel has seen more than any one of us, but it has endured because of individuals just like us. In Exodus 15:13, we read, “In Your love You lead the people You redeemed; In Your strength You guide them to Your holy abode.” What is God’s “strength”? The rabbis explain that “strength” is but a designation for Torah (Mechilta). And, so it is ours.